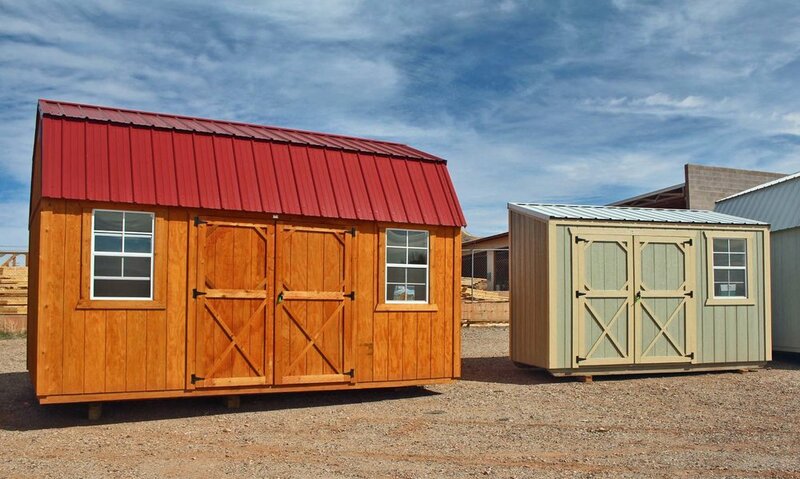 Are you looking for attractive, long-lasting custom-made storage sheds in Utah? If yes then you have come to the right place. At Cumberland Buildings, we specialize in building custom storage sheds that exceed our customers' expectations. We service the greater Utah areas including Beaver, Cedar City, Delta, Duchesne, Ephraim, Fairview, Fruitland, Heber City, Hurricane and many more! You don't have to sacrifice on quality. Our handcrafted storage sheds are created by skilled and experienced craftsmen using the best quality materials. We have warranties on every storage shed, cabin shell, and barn to help you rest assured that you are getting the best quality and a durable structure backed with our guarantee. Our storage sheds are ideal for storing pool supplies, garden tools, bicycles, sports equipment lawn furniture and any other items that you can't keep in the house. By purchasing wooden storage sheds and cabin shells from Cumberland Buildings, you can make use of empty spaces in your garage and yard. You can order structures starting at 20 square feet and up to 500 square feet or more. Whatever size of storage size you need, Cumberland Buildings is here to design it for you. Use our 3D shed builder to create and visualize the storage shed you want to make. This software was also developed to help you design and visualize your new storage building. There are several reasons you need to choose our company to build everything from cabin shells and storage sheds to cabins and barns. For instance, we have been in this industry for several decades now, and our team has several years of combined experience in the storage buildings industry. We take pride in buildings highest quality buildings with the help of quality eco-friendly materials and craftsmen. When looking for the best custom-made storage sheds in Utah, look no further than Cumberland Buildings. Our list of storage sheds and other structures highlight some of the products we have perfected for you. For more information about our products or any question, feel free to ask. For a full list of our Cumberland Buildings authorized dealer locations in Utah, please go here.